Colorado-based Integrated Beverage Group, Replica’s parent company, is behind other popular and affordable wine brands such as Rascal®, Chime®, Cara Mia® and Reaper®. After concluding that consumers were paying too much for many of their favorite brands, Integrated Beverage Group set out to analyze the taste and aroma profiles of thousands of wines. Then, by partnering with award-winning winemakers, and Brett Zimmerman, one of just 233 professionals worldwide to have earned the title of Master Sommelier since the first Master Sommelier Diploma Exam nearly 50 years ago, Replica was created. Ellipse Analytics, an independent analytical chemistry laboratory that works with Replica, uses state-of-the-art instrumentation to identify more than 50 specific flavor and aroma profiles in each wine. The company’s winemakers use this data – and classic blending techniques (no chemical alterations, as other companies have done) – to create wines that taste virtually identical to those that inspired them. 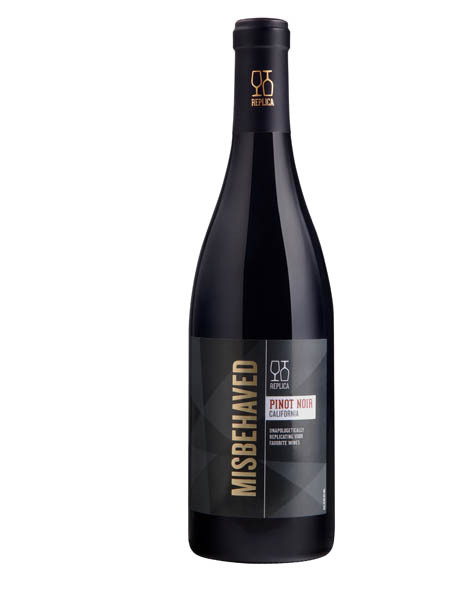 Replica wines now available for purchase at wine retailers nationwide include Pickpocket Red Blend, Misbehaved Pinot Noir, Knockoff Chardonnay, Just Right Cabernet Sauvignon, Embellish Pinot Noir, Retrofit Chardonnay, Label Envy Pinot Noir and Scapegoat Valle dell’Adige Pinot Grigio. Respectively, the Replica wines are benchmarked to The Prisoner® Red Blend, Meiomi® Pinot Noir, Kendall-Jackson® Vintner’s Reserve® Chardonnay, Joel Gott® 815 Cabernet Sauvignon, Erath® Oregon Pinot Noir, Rombauer Vineyards® Carneros Chardonnay, La Crema® Sonoma Coast Pinot Noir, and Santa Margherita® Pinot Grigio.